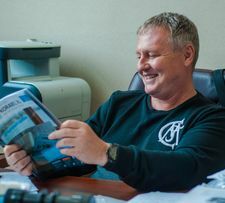 Today, many are convinced that it is not possible to run a small or medium-sized business in Russia and believe that this segment is being intentionally oppressed and discouraged. 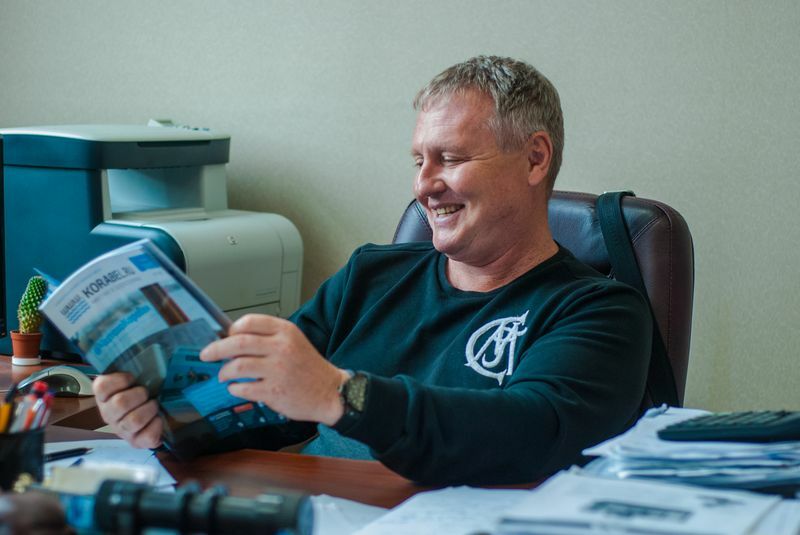 TRITMENT, ship fittings manufacturer with 25-years experience, is a perfect example to demonstrate that small and medium business in Russia is possible. We talk to Konstantin Shumilin, chairman of the board of directors of TRITMENT Group. – Konstantin Ivanovich, let’s flash back to post-perestroika time, 25 years ago. At that time ship fittings were supplied to several plants in Russia. Large enterprises existed, and design offices functioned. TRITMENT broke into the market in early nineties. How did it all start? 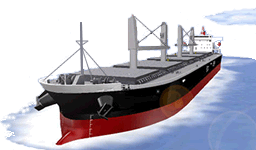 – The first steps of our company were not about sale of ship fittings. There were three of us, former employees of Vyborg shipyard. We specialized in manufacturing and supply of ecological, environmental equipment. In the situation of severe shortage of spare parts, we arranged supply of consumables – electrode units for flotators, coagulators, as well as other components – for shipping companies and shipyards. – You gained wide recognition as a supplier of valves and gates which you started to produce under the trademark “TRITMENT”. – In the 90-s factories, shipping companies and the fleet had sufficient stocks of fittings. We decided to take advantage of it, however the components required inspection, renovation and repair, replacement of certain assemblies and parts, and testing, before they could be used on ships and vessels. The company was inspected by the Russian Register and obtained a Certificate of Compliance. After that we implemented the measures required for recognition of the company as a manufacturer, and obtained a production permit and accreditation at the Russian Ministry of Defence. So step by step we entered into production. 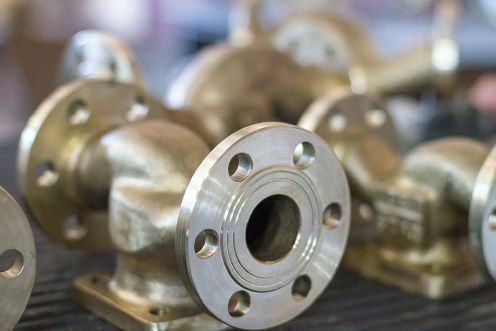 Having started with assembly, by present we operate a full production chain except for in-house casting. – How did you start manufacturing your own ship fittings? – In 2005 we decided to expand and purchased the building which now accommodates our production premises. The whole territory was occupied by a single building of light panels with the total area of 5 thousand square meters. Following a structural survey, the company carried out massive reconstruction, utilities installation and relining of the building. After that TRITMENT started production of valves and gates. – Is TRITMENT oriented to defence industry or to civil market? – Supplies for merchant fleet account for 10–15 % of our total sales balance. Thus our main focus is on defence industry. – Russian shipyards built about 300 ships over the period 2000–2015, and this is only about tankers and dry-cargo ships. This makes 20 vessels per year. With this output volume, TRITMENT could flood the civil shipbuilding market with its products. – Our company operates in the current conditions, with all their benefits and disadvantages. At present domestic shipyards purchase fittings which are manufactured according to DIN standards, since they are cheaper though less reliable. – 300 vessels were built in 15 years. This is a huge quantity of equipment, components, and ship fittings. Does this mean that Russian companies cannot compete with foreign manufacturers in terms of product quality and price? – I definitely say that they can’t. For instance, DIN valves are produced in a continuous flow and supplied in very large series all over the world. Russian shipbuilding makes up 1 % of the global sector. The World Trade Organization produces fittings in tremendous quantities, hence the price of such products is lower. 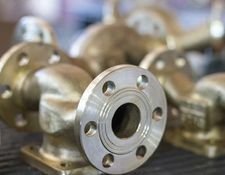 Thus shipyards can buy valves and fittings from foreign suppliers at a cheaper price than from local manufacturers who do not produce the articles in large series, and naturally their prices are higher than those of the mass product. – 20 vessels per year is not much. Where is the breakeven point? Is 100 vessels enough to sustain operation in the civil shipbuilding market? – To be honest, we never estimated the needed number of vessels. Our company tries to supply the customer with a complete set of equipment, but in order to do this we have to either start manufacturing certain items, or cooperate with specialist producers of such items. Both approaches have their pitfalls. This business is rather troublesome, requires investments of time and finance. – Let us look at the following example: Krasnoye Sormovo Shipyard built a ship and equipped it with Polish fittings, Dutch lights, Finnish columns, etc. After five years of operation the ship is subject to maintenance. The company has a choice: engage with a ship-repair factory in Russia and struggle with customs about each item for months, or save the trouble by sending the ship for repair in Estonia, Turkey, Romania. – We have not intention to quit and stop supplying our products for civil shipbuilding. Thus TRITMENT has once again refreshed its certification in the Marine Register and got certified by the River Register. We do supply our products to domestic shipyards and maintain contacts with them. Our company contributes to the development of small shipbuilding. We are trying to support a company which builds aluminium motor boats in Kirovsk district. 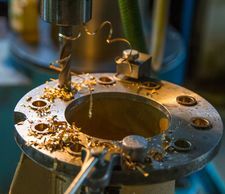 Sometimes we even take gainless orders: we use our hydroabrasive machine to cut discrete tailored components. So, with our support, they can build motor boats and produce other products. – Are any new fittings being developed? Do you receive orders for new fittings? – At present TRITMENT manufactures and supplies valves, plugs and gates which were designed back in 1960–1970-s. Development of new articles may be under way, but we, the producer, still receive orders for well-known standard products. However ball valves can be specifically mentioned. In my opinion they are the most advanced type of fittings. – At present 150–160 persons work in TRITMENT Group. 60 of them are production workers, while others are sales managers, operators, purchasing officers, accountants, etc. We also have a construction unit in our organization. – What are your plans for future development of production? – We have initiated construction of a foundry but had to suspend it due to the crisis. Only the first construction phase of the foundry has been completed. – What is the reason of your attempt to establish your own foundry? Is there a lack of casting capacities in Saint Petersburg, or do you just want to adequately serve your own own needs? – Our foundry construction efforts are not intended to increase the company’s profit. We want to improve our flexibility to respond to market demands and clients’ needs, in order to increase our competitive advantages. Placing a single-piece order at a commercial foundry is next to impossible, while an in-house foundry will serve our own needs. – At present TRITMENT enjoys a cash flow from defence contracts, however the state programme will end by 2020–2025. What do you plan to do next? – The process of modernization is interminable. Finance could be better, of course. However state support still exists. The whole world is struggling through tough times, not only our country. This year the government directed attention to development of merchant fleet. Programmes for building of fishing vessels and passenger ships have been developed. We hope that the set targets will be attained, and TRITMENT will be able to make its contribution. We turn 25, and it is our intention to further develop the production facilities. The foundry will be completed. There is still much work to be done, and we do not plan to stop.